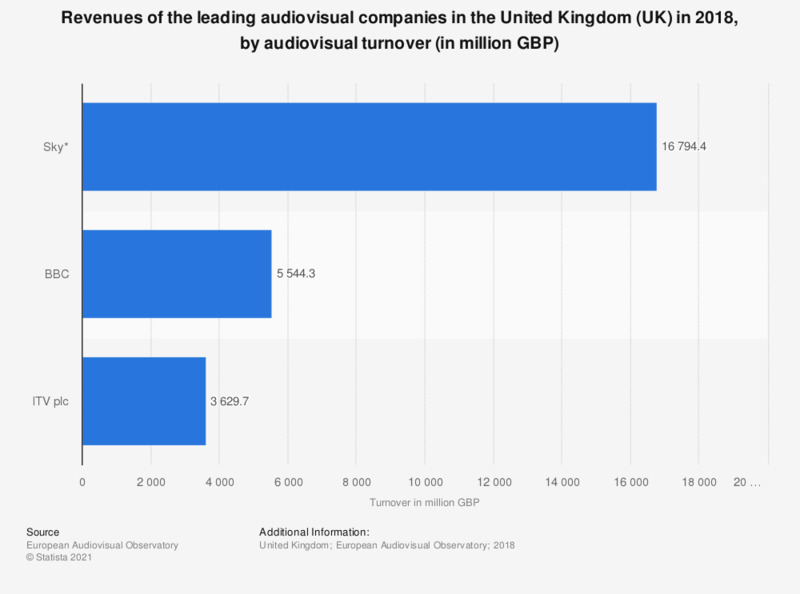 This statistic displays the main audiovisual companies in the United Kingdom ranked by revenue in fiscal year 2017. Ranked first was Sky with revenue reaching over 153 billion British pounds that year. * Year ended June year n+1.